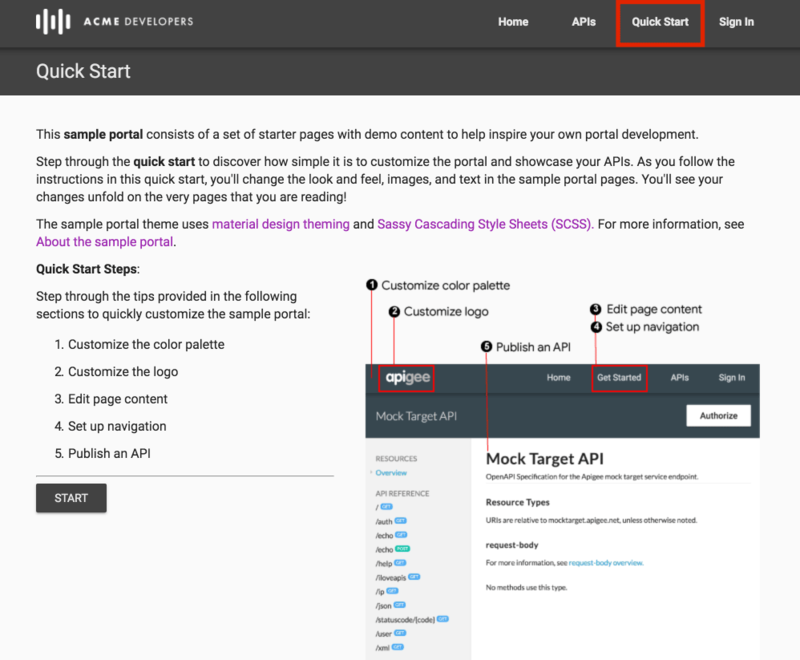 Step through the quick start to discover how simple it is to build and customize the portal and showcase your APIs. As you follow the instructions in this quick start, you'll change the look and feel, images, and text in the sample portal pages. You'll see your changes unfold on the very pages that you are reading! Click Live Portal in the upper-right corner of the portal admin to display the sample portal. Click Quick Start in the top navigation bar of the sample portal. Follow the steps in the quick start to build and customize the portal and view your updates instantaneously.